For the time being, Amazon.com Inc. (AMZN - Get Report) isn't doing anything too dramatic to add to its share gains in a giant U.S. apparel market. It's just tweaking a successful online retail strategy by adding a service that the company is uniquely positioned to deliver, and forging the kind of direct relationships with major apparel brands that only larger retailers can establish. So has apparel. This is, after all, an industry estimated to be worth over $350 billion in the U.S. alone, and for which--judging by eMarketer's estimate that U.S. e-commerce apparel and accessories sales would total $74 billion in 2016--over 75% of sales remain offline. An industry where the preference of many consumers to see items in person, and learn how they fit and feel, still produces quite a lot of retail store traffic. Analysts have argued upscale retailers such as Nordstrom Inc. (JWN - Get Report) and Lululemon Athletica Inc. (LULU - Get Report) could be targets. Separately, Bloomberg has reported Amazon has struck a deal with Nike Inc. (NKE - Get Report) to directly sell Nike shoes on its site through a brand-registry program. The deal aims to let Nike, whose products are sold by many Amazon marketplace sellers, combat counterfeiting and more generally better control how its products are sold on Amazon. It also helps the shoe giant better compete with Under Armour Inc. (UAA - Get Report) , which already directly sells its wares to Amazon. With the deal potentially increasing Amazon's Nike inventory and--assuming Amazon used its buying power to negotiate a favorable deal--lowering the prices at which its sells Nike gear, shoe sellers such as Foot Locker Inc. (FL - Get Report) , Finish Line Inc. (FINL and Dicks Sporting Goods Inc. (DKS - Get Report) sold off following Bloomberg's report. 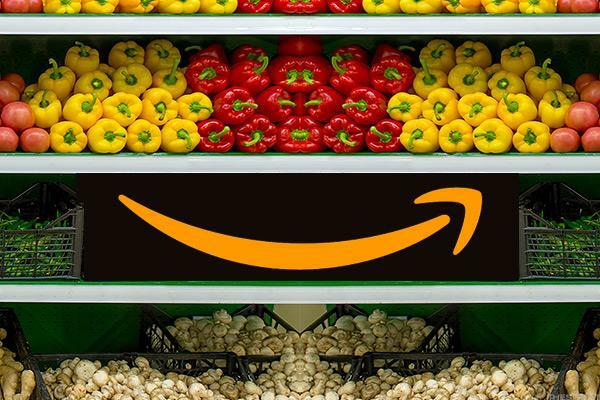 The deal could be a sign of things to come for Amazon, and not just in apparel: Bloomberg reported in March that Amazon is trying to convince top consumer packaged goods brands to start selling directly to consumers via Amazon, and to rethink their packaging along the way. Amazon doesn't break out its apparel sales, but all signs point to them being significant, especially with younger shoppers. Cowen estimated last October Amazon's apparel and accessory sales would grow 30% in 2017 to $28 billion, leading the company to surpass Macy's Inc. (M - Get Report) as the biggest U.S. apparel seller and giving it an 8.2% local apparel share. And in March, e-commerce research firm Slice reported that Amazon accounted for a market-leading 16.6% of 2016 U.S. online apparel sales to people aged 18 to 34. Nordstrom came in second with an 8.1% share.